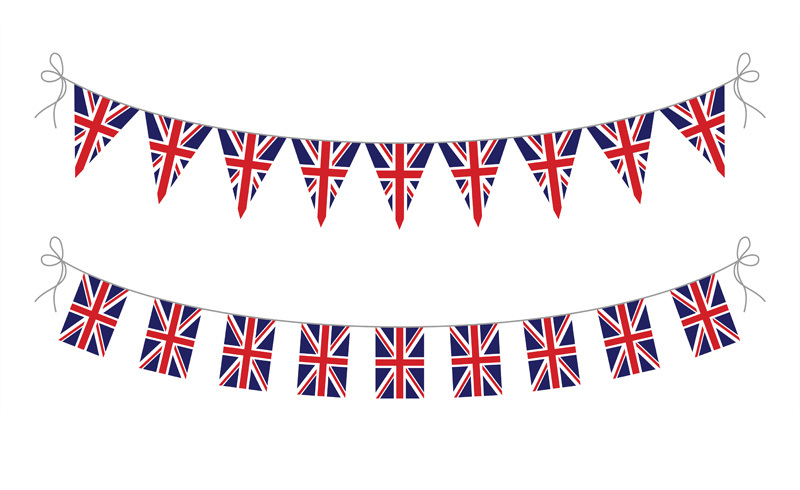 Union Jack bunting can be purchased in 10 metre lengths on either triangular or squared knitted polyester. Union Jack bunting is a traditional decoration for patriotic events in the United Kingdom and is a great decorative addition to both outdoor and indoor events. With the help of dye sublimation printers, you can be assured that Union Jack bunting purchased from Piggotts is high quality. Union Jack bunting is available in 10 metre lengths.